1. 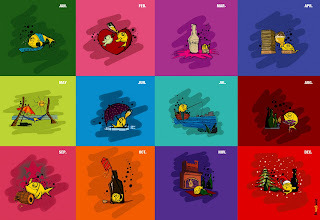 Series of illustrations done with Sameer Kulavoor and BCWebWise team for the bcwebwise's diary 2005. 2. CD cover and Inlay illustrations for the mallu rock band Avial, done with BCWebWise team and Phat Phish records. 3. Illustration for the BCWebWise office rules book done with BCWebWise team.